Don't worry, this enticing apple isn't filled with deadly poison. Instead, it could be filled with all your must-have essentials like your cell phone, keys, wallet, and lipstick. Sure, you could keep a vial of poison inside this handy cross-body bag, but why do that? Your whole aura is intoxicating enough and you are not the kind of gal who resorts to poisoning her enemies. All you have to do is sashay past the haters with your impeccable fashion sense, toting this rhinestone apple purse on your arm, and you'll leave the cynics spellbound! 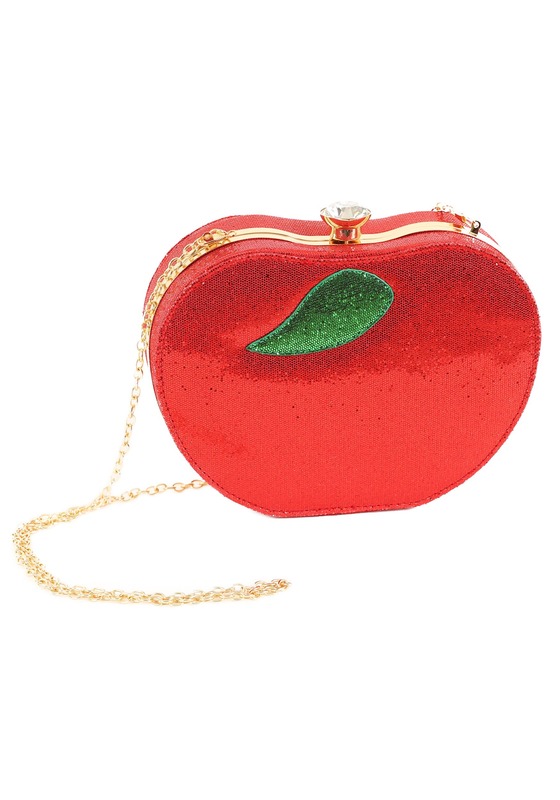 Bursting with a glossy shimmering red fabric, this sturdy purse features a long golden chain and a rhinestone clasp which twinkles and glistens in the light. 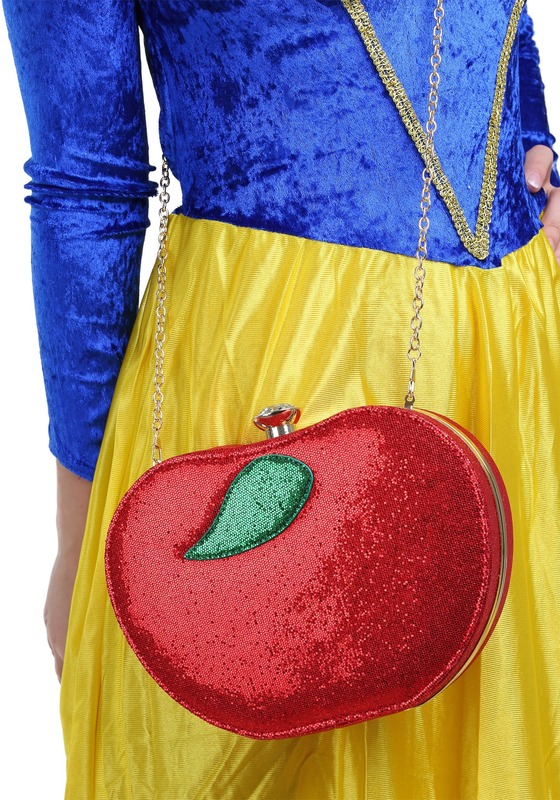 Just incorporate this juicy accessory into your costume and you'll look enchanting and mysteriously alluring all night long!